(Now THERE’S a slogan we never expected to see.) But ever since we first reported on a line of bad-tasting (and now slightly infamous) “GIjOE Survival” sugar-water beverages (see complete story HERE), additional discoveries of equally bad ideas for liquid GIjOE refreshments have continued to “trickle in” to the newsroom here at The Joe Report. And the first one to cross our desks was, actually, quite a surprise. It sports boldly lettered, brightly colored “GIjOE” graphics on every can. Every can, that is—of BEER. Created and sold in the 1980s by Schell’s Brewery in New Ulm, Minnesota,”GIjOE Beer” was available only in all-steel pull-top cans, and is no longer in production. However, aided by the power of the internet, die-hard Joeheads can still find (empty) cans of the unusual product on various websites and ebay. One enterprising dealer who goes by the name, “Handy Sam,” has gone so far as to make and sell GIjOE Beer can bottle openers (see photo at left). We were curious about GO JOE’s specific ingredients, so we checked with the nutrition experts at MyFitnessPal, and they informed us that each 16 Oz. can contains the following: Calories 250, Sodium 400 mg, Total Carbs 63 g, and Sugars 57 g. Whoa! We didn’t get a figure for caffeine, but it’s surely “up there” as well. Caveat Emptor! Want a REAL Cup of Joe? 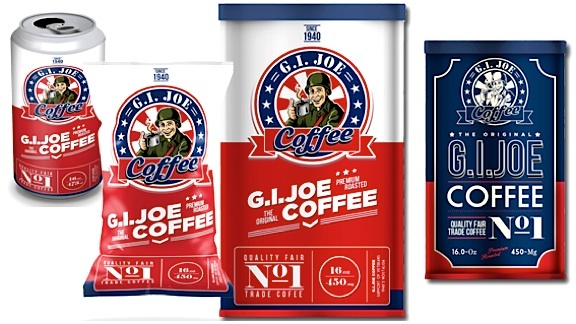 Try “GIjOE Coffee”—In a Can! 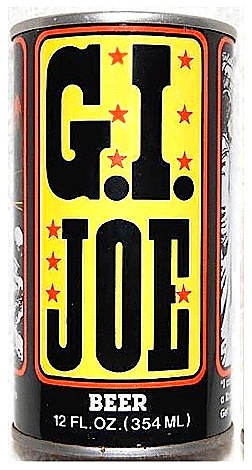 Of all the GIjOE beverages described above; GIjOE Beer, GO JOE Energy Drinks, and GIjOE Coffee, none are appropriate for the youngest Joe fans among us—our children. And as obvious as it seems, neither Hasbro nor any other company has ever released a simple GIjOE soda targeted to children (no, those horrendous “Survival Beverages” don’t count, especially since they sent people to the hospital). 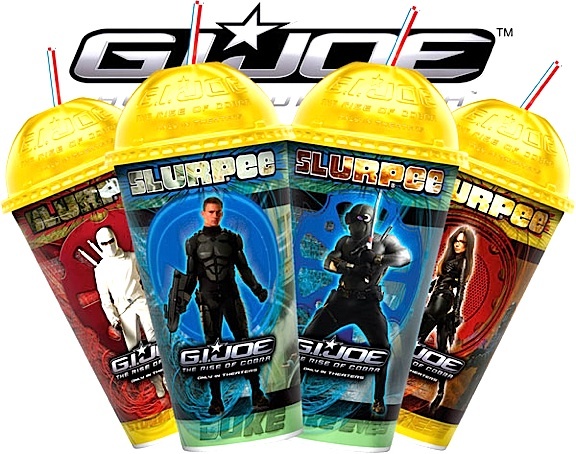 So, we’ll conclude this discussion about GIjOE-inspired beverages with one that’s actually SAFE for children (and adults) to consume—Slurpees! While they’re not exactly “unusual,” (Slurpees have been around since 1958), you don’t have to be 21 or possess a photo ID to purchase or drink one. And with the release of each new GIjOE movie, fans can always look forward to a deluge of GIjOE-inspired beverage cups, many of which have turned out to be VERY collectible. 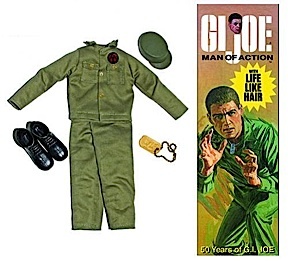 Bottom Line: For collectors of GIjOEs and GIjOE-related “ephemera,” practically ANYTHING labeled “GIjOE” becomes fair game. And it’s always fun to discover new things that you never knew existed. 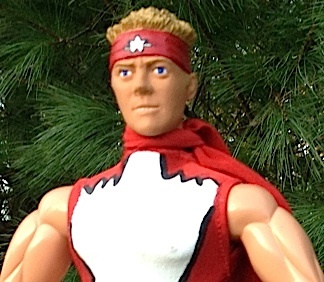 Personally, I have dozens of unofficial, non-Hasbro “GIjOE” items in my collection (that GIjOE beer can is on its way to my house as we speak) and everything else in this article holds an interest for me as well. (Now I know where I’m stopping in Tennessee on my drive to Joelanta!) Regardless of your own Joe-beverage preferences…Bottom’s Up! Cheers! ¡Salud! G.I. Joe + Masters of the Universe= Marriage? YES! We Now Pronounce You—Skeletor and Wife. Bottom Line: Thanks to eagle-eyed TJR Field Reporter, Louis F. Lapointe, for his heads-up on this heart-warming demonstration of “The Power of Joe” and “The Scheming of Skeletor.” We wish the future couple all the best and a lifetime of geeky happiness. Go, Joe! And…Go, True LOVE! 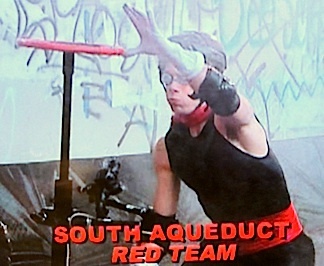 The first contestant of Who Wants to be a Superhero? we caught up with was, quite frankly, the one who had impressed us the most—2nd season standout, John Stork. 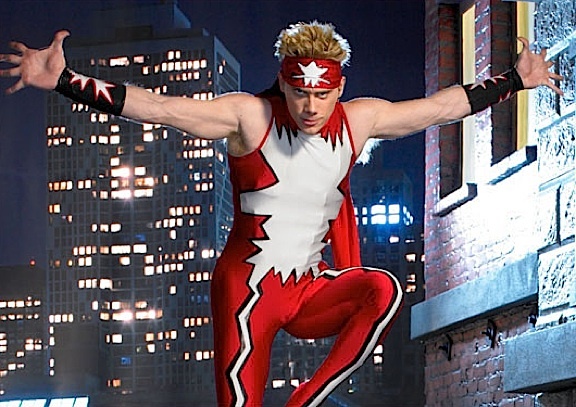 Stork’s manic, over-the-top athleticism and circus-honed showmanship made him a clear front-runner among his fellow Season 2 contestants, and from the very beginning, he seemed an odds-on favorite to become Stan Lee’s “next—great—Superhero!” Of course, we’re not giving away any secrets to remind you that John didn’t win, but came in second place instead, tied with Melody Mooney’s “Hygena,” a plucky, homemaker-turned-superheroine, and then ultimately losing to Jarrett Crippen’s superhero cop character, “The Defuser” (see below). 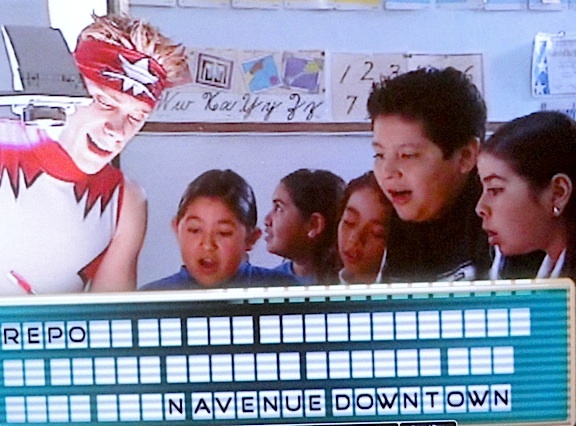 In this screenshot from Who Wants to Be a Superhero?, the three finalists of Season 2 react upon seeing the 1:6 scale custom action figures made in their likenesses and given to them as a gift by Stan Lee. 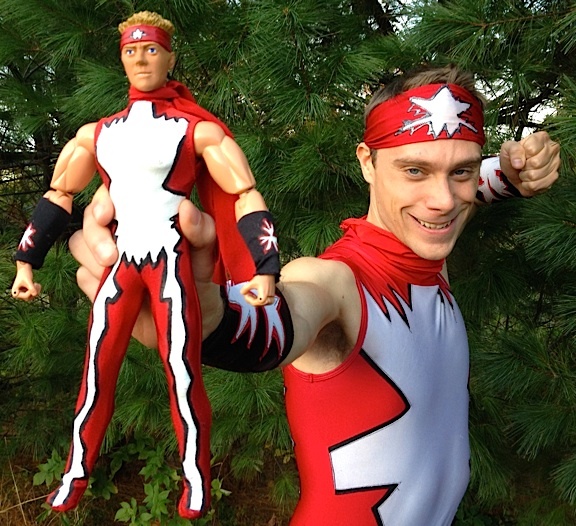 Real-Life “Action Figure” John Stork, Reflects on His SUPER Life So Far —and What Happens Next! 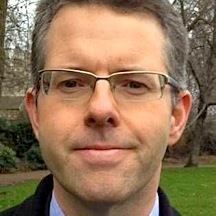 TJR: First of all, thank you very much for taking time out of your busy schedule to talk with us today. Let’s quickly catch up with John Stork, the man. You’re 27 now, correct? And you live in Vermont? Are you married? 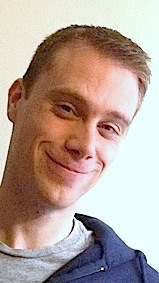 Do you have any children? 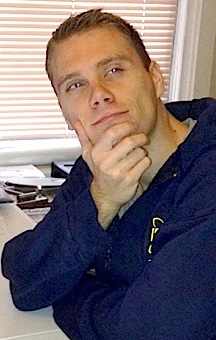 TJR: What’s a typical day in the life of John Stork like now, in November of 2013? TJR: Is it true that you lived in Chicago for a while? What took you there? And what brought you back to Vermont? TJR: You’ve just created your first Facebook page last month (October, 2013). For most celebrities, that’s almost unthinkable. Why did you wait so long? What sort of “social media” outlets do you prefer to use? And if none, why? 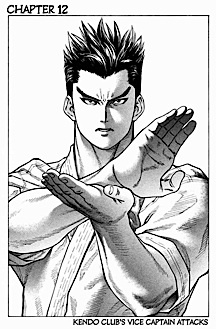 “Fast forward to 2013: I’m now looking for like-minded Manga artists who want to team up and create—THE GREATEST MANGA EVER! You can get all the info about my current search plus samples of my writing HERE. I thought Facebook would be a good way of getting in touch with artists. But right now, my page is so new that I hardly have any ‘likes,’ so please, check it out HERE and click on that ‘like’ button! 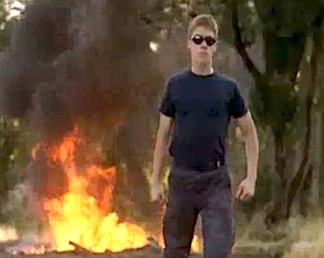 TJR: As a teenager, you trained with world champions, actors, and even Hollywood stunt-doubles. How did that come about, and in what ways did being around such diverse talent influence your life and career? “As far as being influenced goes, I think the main thing these experiences impressed upon me was the level of proficiency and consistency that separates amateurs from professionals. 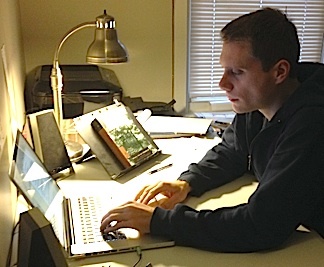 Mike immersed me and his other students in a professional world. Also, working with Ming Qui (former China national wushu champion and stunt-double for Lucy Liu in ‘Kill Bill’) was extra awesome. 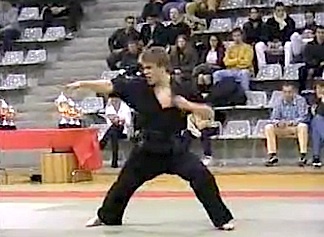 TJR: You won a Gold Medal at the WKA World Championships in Germany and a Silver Cup at the First International “Artistic Martial Arts” Tournament in Paris, France (watch video HERE). Could you tell us about those two contests and how you felt winning them? 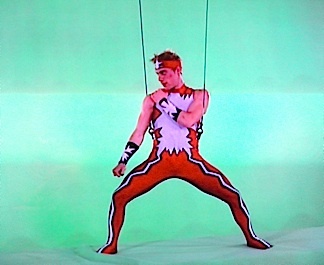 TJR: You began training in “circus and variety arts” at age 13. 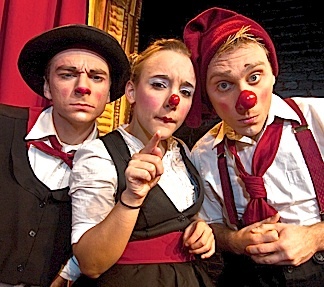 Could you tell us about your years performing with Circus Smirkus? What memories or moments stand out the most? 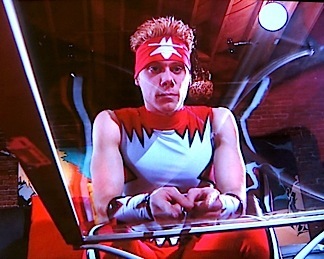 TV Time— Stork in a screenshot from his commercial for Burger King and Dragonball Z.
TJR: No problem. Let’s change the topic. Tell us about your TV commercial for Burger King (see HERE). How old were you in that, how did you land the part, what was it like, etc.? 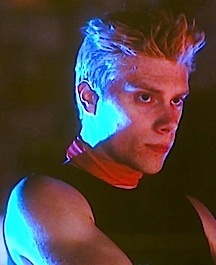 TJR: In 2001, you appeared in the independent film, Shadow Fury. 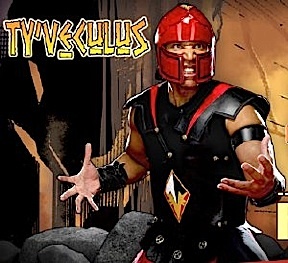 We found a short clip of a fight scene with you in it over on YouTube (view HERE). Tell us about working on that project. TJR: You chose to pursue a career in show-business rather than attending college. Was that a hard decision for you to make? And do you now have any regrets? TJR: Since you’re famous now, have you thought about moving out to LA and pursuing a career in the entertainment industry there? Perhaps as a TV action star or movie stuntman? TJR: You seem to be extremely physically fit. Would you describe yourself as a “health nut” or simply a naturally gifted athlete? 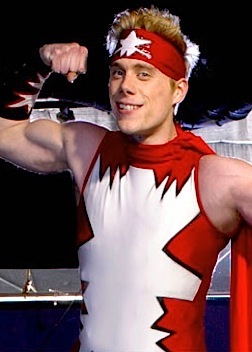 And what do you do to keep your superhero physique? Do you have a special diet and/or exercise regimen? “Correction: I USED to be extremely physically fit. Now I just get by. And I’m definitely not a ‘health nut,’ nor am I a naturally-gifted athlete. 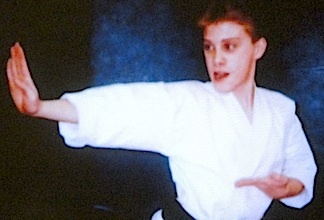 I was one of the LEAST athletic kids going up through the ranks at my karate dojo. My physical prowess came from years of hard work, determination, and expensive private lessons. 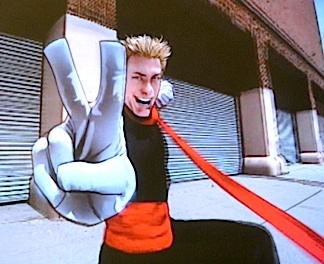 TJR: You often flash a “V” or a “Peace” sign at the end of a gymnastics run or karate routine. It’s almost become sort of a John Stork trademark. When did you start using that hand gesture and does it hold any special meaning for you? 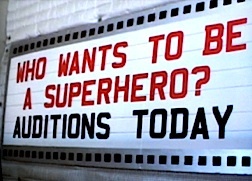 TJR: Let’s talk about your experiences on Stan Lee’s, Who Wants to be a Superhero? TV program on the Syfy Channel. First, let me just congratulate you for coming in second-place. Fantastic job, sir! 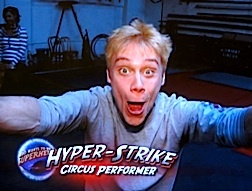 What was it like trying out for the show? What did you have to do, where did you have to go, and what kind of reactions did you get from the producers, Stan Lee, etc..? Walk us through those experiences, please. 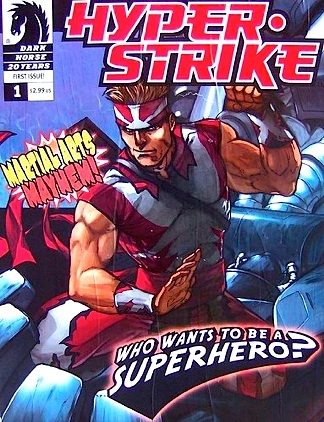 TJR: Tell us about changing your superhero name from “Super Impact Man” to “Hyper-Strike.” When and how did that happen, and who came up with the name? 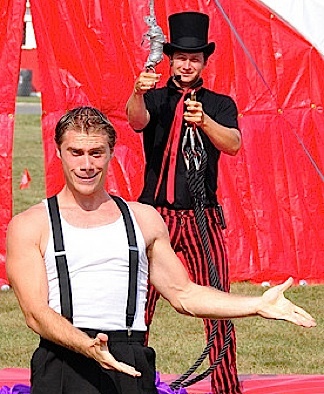 TJR: During the “Evil Stan” episode in the park, it didn’t seem as if you were fooled too badly. 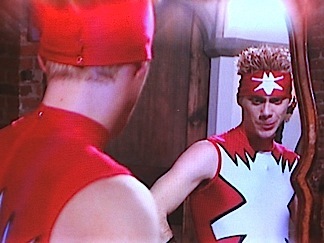 You looked through a lady’s bag once, shouted your superhero name, and did a few flips. Not much harm done. Did you catch on that something was amiss and begin to refuse Evil Stan’s unheroic requests? 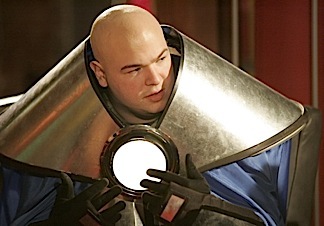 TJR: Even though you say you studied the DVDs of Season 1 to avoid making the same mistakes they did, you STILL gave away your secret identity in the classroom, with a camera only a few feet away from your face! What happened there? TJR: What was it like living in such a “Big Brother” type setting? Were the TV cameras on 24-7? Were they hidden? How did “living in a fishbowl” affect you and your fellow contestants psychologically? Did you ever decide to just “clam up,” like Mr. Mitzvah? TJR: Fans have been wondering what “life in the lair” was like for many years. Simple questions like: Did all 10 of you really sleep in the same room? If so, was that ever uncomfortable or no big deal? Was there a specific time for “lights out?” Did you get enough sleep? TJR: What was a typical day’s shooting schedule like? Was there time for you to keep up your own personal fitness routine? Or were everyone’s activities strictly regimented and controlled? TJR: And what about food? Did everyone make their own meals, or was food prepared for you? TJR: Where was the show filmed? 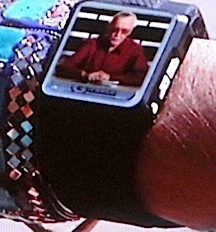 There’s also a little mystery and debate among fans as to where Stan Lee really was during shooting. Was he nearby, or was he in another studio clear across town? It’d be a little bit of a buzzkill to think he was just sitting downstairs the whole time. TJR: Here’s a chance to “burst some bubbles” for the less tech-savvy among us. When you looked at your wrist communicators, did anything actually appear there, or were you just told to act like it was? TJR: Ha! Tell us about all the night shooting. Was it cold up there on the rooftop during eliminations? 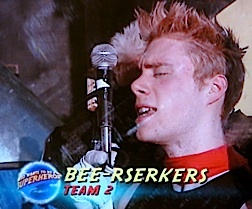 Many of the contestants (but not you) often seemed to be shivering. TJR: Here’s your chance to make some headlines and stir the fires a bit… It’s been over 6 years since the show. Were there any juicy tidbits, or embarrassing and/or memorable moments that ended up on the “cutting room floor” that you can now share with fans? TJR: During the “Waterworks” challenge you were nearly drowned by torrents of wind and water. During the “Bee Sting” challenge, you were trapped in a box with thousands of stinging honey bees. Normally, that would be enough to make most people want to quit immediately. But surprisingly, no one did. Did that surprise you? And what are your memories (good and bad) about those experiences? 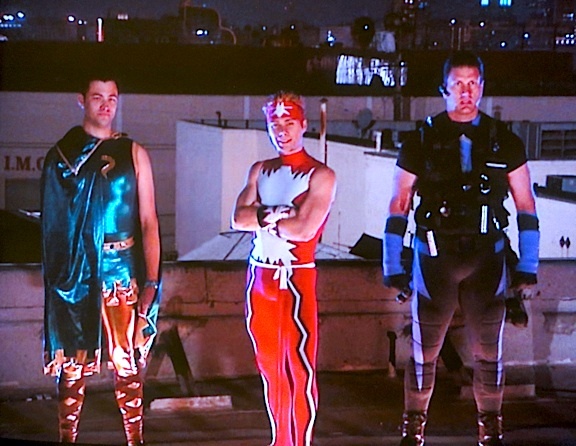 TJR: What was it like filming those fights, stunts and special effects sequences with Balls Mahoney and stuntman Jon Valera? It seems they would’ve seen your vast potential and recommended that you stay on in Hollywood and work in films. Did you discuss any such ideas? TJR: Did you forge any lasting friendships with your fellow WWTBASH contestants? And have you seen any of them recently? TJR: Your final self-defense speech, when you declared, “You SHOULDN’T put me through…” was a masterstroke of counter-psychology that probably helped keep you on the show. Had you thought about what you were going to say ahead of time or did you just blurt it out? 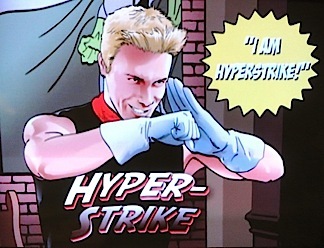 TJR: Do you ever make appearances at comic cons as Hyper-Strike? It seems like you would be a natural with all of your experience entertaining crowds, especially crowds of superhero fans. Any memorable interactions with fans at such events? TJR: Well, obviously we disagree about that! Tell us about your “Karate Comedy Act.” I saw a short clip you had posted of it over on YouTube (HERE) and enjoyed it very much. “Oh, thank you so much. 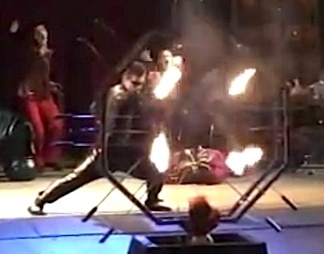 If I were to continue on with theatrical circus performing, this is the act I’d do it with. 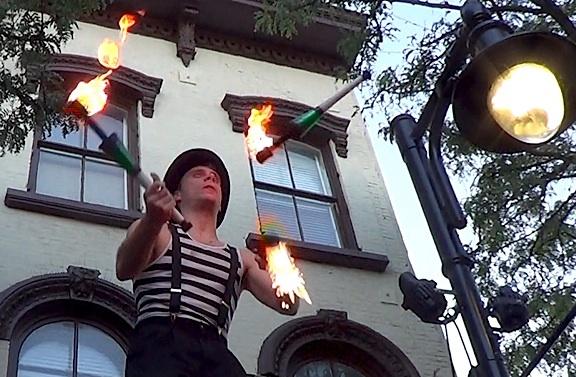 I spent years trying to develop an act I’d be happy with, but all of my ideas were overly ambitious. I liked to come up with titanic productions in my mind that I was never able to pull off, at least not to my satisfaction. 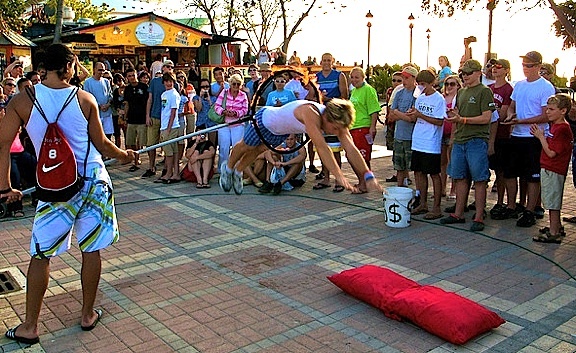 Obviously, there’s a lot more to John Stork than just a flashy costume and some back flips. Tell us about your core moral values, ethics and beliefs, and where they came from. Besides being naturally gifted, what made you the man you are today? “This is a big question and I don’t want to delve into my personal politics or religious ideas here, but I do have core convictions and concrete philosophical ideas that I try my best to live by and continually improve. RESPECT is probably number one, not just for others, but for yourself as well. Self-respect could be the single most valuable commodity in existence, but I think it only works if you have a diligent conscience. I think you get your conscience from your parents, and inadequate parenting is probably the most serious problem in society today. I had great parents, so I’m very lucky. TJR: What are your hopes, plans and career goals for the NEXT 6 years? Where do you hope to be and what would you like to be doing? 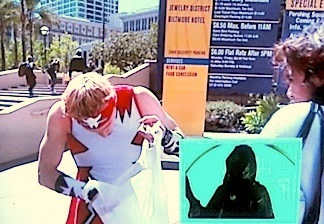 TJR: On Who Wants to Be a Superhero?, you offered your fans the following advice, “Pursue your passions. Whatever you love to do—DO IT. And then completely devote yourself to it.” Now, over six years later, would you amend or add to that advice in any way? 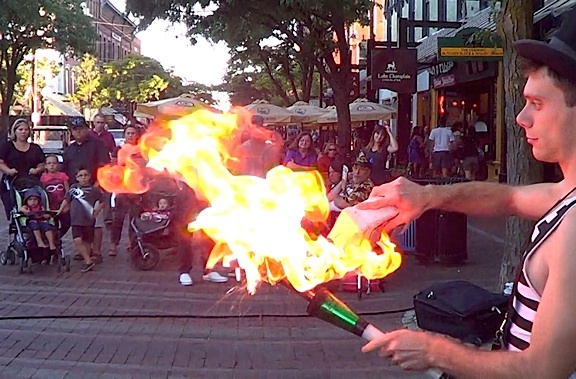 TJR: At your public performances, do you sign autographs and sell souvenirs afterward? How about online? 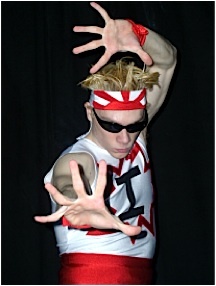 Is there a website where fans can go to purchase John Stork, Hyper-Strike or Super-Impact Man videos, T-shirts, coffee mugs, etc.? TJR: Do you have an agent, or are you self-represented? If someone wanted to hire you for a performance or personal appearance, how should they contact you? TJR: Where is the next place fans can go to see John Stork performing, LIVE and in-person? TJR: Finally, while we’re obviously very interested in superheroes, The Joe Report’s primary focus is on GIjOEs and 1:6 scale action figures. 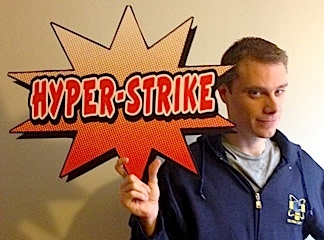 Therefore, we’d be remiss if we didn’t mention the personal gift you received from Stan Lee: a custom-made, 1:6 scale, Hyper-Strike action figure from Herobuilders.com! Did you play with or collect action figures when you were young? If so, which were your favorites and why? Bottom Line: Our sincerest thanks to Mr. Stork for making this in-depth interview possible. If you’d like to leave a comment about anything in this article, please do so below. We wish Mr. Stork all the best in his future endeavors and will follow-up this report with another Who Wants to be a Superhero? contestant interview soon. Where are they all now and what are they doing? 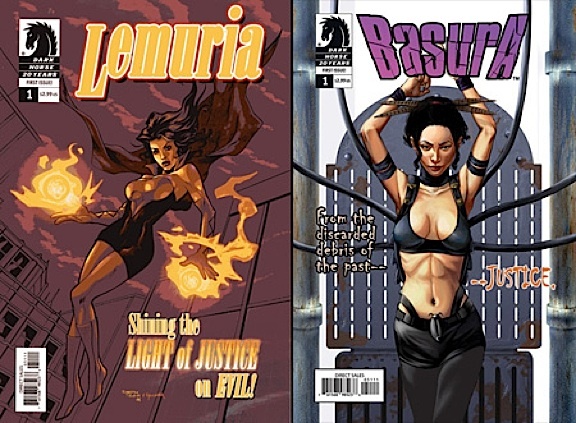 Stay tuned superhero, comic book and action figure fans, Coming up next—one of the women! Ex-CELSIOR! At 9,000 Words & 60 Color Photos (6 Exclusive! 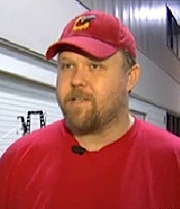 ), Upcoming Interview With John Stork, aka “Hyper-Strike” Will Be Biggest Joe Report Article EVER! Greetings from the Bullpen! Usually, we like to keep things here at The Joe Report short and sweet. 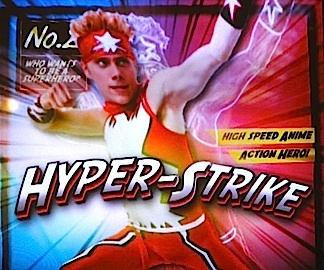 But our upcoming interview with celebrity John Stork, aka “Hyper-Strike” from Syfy TV’s “Who Wants to be a Superhero?” took on a life of its own and became the largest, most in-depth article we’ve ever produced. In fact, this project eventually became SO extensive, we had to call in our entire staff, and superheroic efforts on all of their parts were required to finish it by press time. After 50 years, you’d think Hasbro would’ve had enough time to create a killer line-up of “50th Anniversary” collectible action figures for GIjOE fans—and in BOTH scales. Something like all-new, super-articulated figures with golden dogtags, all-gold versions of classic vehicles (a gold space capsule, anyone? ), all packaged in special-edition “gold top” boxes. You know Mattel could (and WOULD) do it with Barbie. But no. With 2014 only a month and a half away, there has been ZERO news out of the “Big H” about any sort of plans for 50th Anniversary GIjOE products. 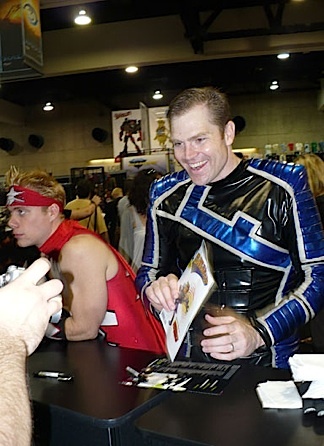 In fact, based on recent showings at Toy Fairs, little of consequence is expected to be produced for Joe fans next year, and 1:6 GIjOE fans in particular continue to grind their teeth in bitter disappointment. So, what to do? Let’s ask the club! Bottom Line: Despite everything the club does right, it still tends to get some fairly obvious things wrong. As any fan of 1:6 scale Joes can tell you, 2014 will NOT be the 50th anniversary of the “Man of Action” (MOA), or of “The Adventure Team.” They weren’t even introduced until 1970! 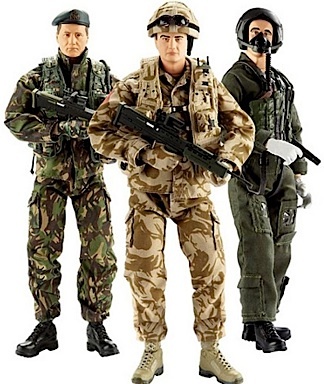 A real 50th figure should be based upon one of the first four military figures sold in 1964, possibly upgraded with a super-articulated body and interchangeable hands, and packaged in some kind of gold-trimmed box. Make sure the graphics reflect the 1960s, not the 2000s, and include a fancy certificate of authenticity. You’d sell out of them GUARANTEED. <sigh> Oh well, at least the club has “thrown us a bone” with this half-hearted MOA. Hasbro, by contrast—still offers nothing. 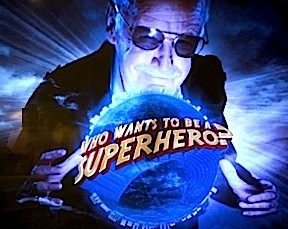 Comics legend, Stan Lee, appears omnipotent and able to “rule the world” in this screenshot from the opening sequence of Syfy’s, Who Wants to be a Superhero? 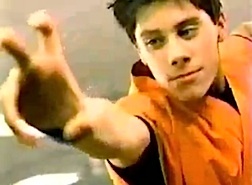 In the show, Lee did indeed make the final contestant elimination decisions, essentially controlling the “destinies” of all on the show. 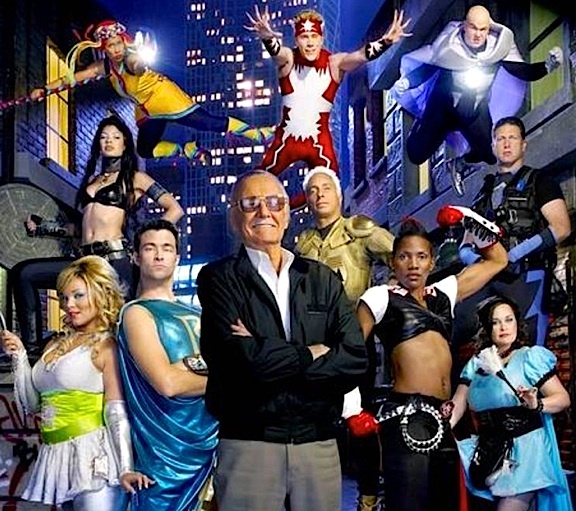 Despite high ratings for the Syfy Channel and repeated pleas from its legions of fans, the show’s creator and Oz-like host, comics legend Stan Lee (now 90), replied that his schedule no longer permitted him to do the show, and that a third season would not be produced (even with a substitute host). In hindsight, his decision appears to have been very short-sighted and ill-advised. It’s been 6 years since Lee’s brainchild last aired on television. At the time of its cancellation, the show was extremely popular and nowhere near running out of steam. Its format was simple: hold nationwide tryouts for comic book and superhero fans (and cosplayers) who believed they had created the “next great superhero,” bring the Top-10 finalists to Stan’s super-secret superhero “lair” (a warehouse in Los Angeles), put them through a series of creative competitions to test their mental acuity, athletic mettle, and strength of personality (or “grit”) before “eliminating” them one by one, until a final winner was found. Today, it’s still a tried and true formula for programming success (see American Idol, America’s Got Talent, Big Brother, Survivor, etc.). Nevertheless, Lee was adamant about calling it quits, and any plans for future episodes (or merchandising) have clearly been shelved as well. Such simple and embraceable shows are the stuff TV producer’s dreams are made of, and they are rarely executed as well as Who Wants to Be a Superhero? Over time, the show’s inexpensive, (i.e. profitable) format, could easily have been updated, refined and reworked, keeping it fresh and interesting for years to come (How about an all-girl version? An International version? 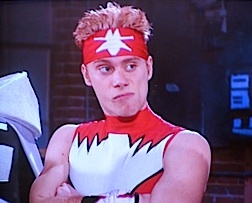 A teenaged sidekick version? An all-Japanese version?). The possibilities are endless. Sadly, after only two seasons, it was all over. And now, all that remains of the show are a few comic books for sale on ebay and two seasons worth of DVDs available on a “made-to-order” basis over on Amazon. 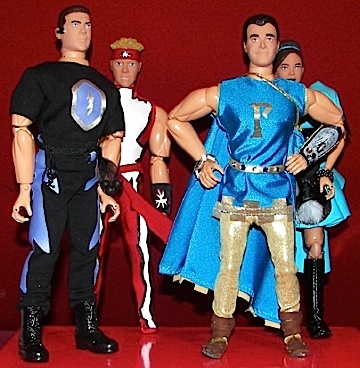 There are no other toys, action figures, or video games based on the show. NOTHING at all for fans, past, present or future to enjoy—or spend their money on. The amount of lost revenue to Stan Lee and Syfy is literally staggering. 6 YEARS worth! Will The Show Ever Return? 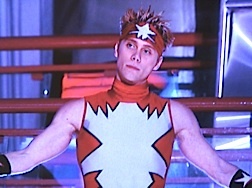 After Lee pulled the plug on Who Wants to Be a Superhero?, a collective groan of disappointment could be heard from fans all around the world. Perhaps if and when the Syfy Channel and Stan Lee realize what a mistake they’ve made, fans will finally see a Season 3. Regardless, the staff here at The Joe Report are all big fans of the show, and we felt this would be a good time to check back in with the 20 wannabe heroes—one at a time—to find out what they’re all up to now. Happy Veterans Day! Thanks to All Who Served! 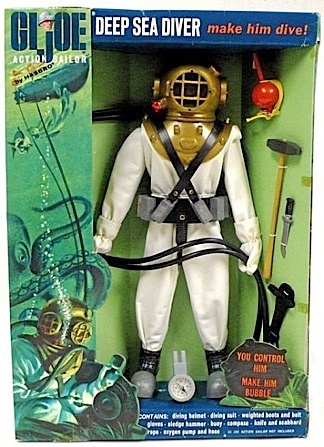 The artwork on GIjOE’s “Action Sailor” box depicted a Navy UDT scuba diver, very similar in appearance to John Spence and other WWII US Navy “Frogmen” who were armed only with a Ka-Bar knife and pack of explosives. 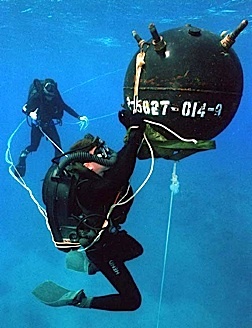 “John Spence was a diver often credited as the first U.S. combat ‘frogman’ in World War II and was an important figure in the rigorous training that led to the establishment of the U.S. Navy SEALs. 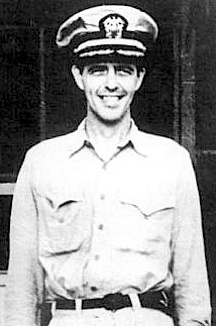 Because much of what Spence and others did during the war was under the Office of Strategic Services (the forerunner to the Central Intelligence Agency), stories of their bravery and resourcefulness were long classified as top-secret. Only in the late 1980s was the secrecy classification lifted, allowing Spence to finally tell friends and family members of his wartime experiences. John Pitts Spence was born June 14, 1918, in Centerville Tennessee, where his father was the sheriff. He joined the Navy in 1936 and was trained as a gunner and ‘hard-hat’ diver. 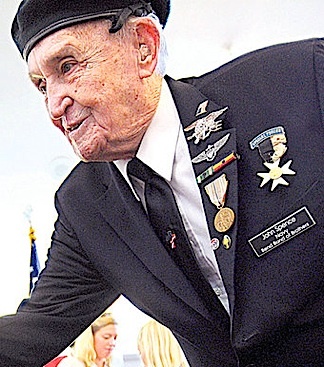 He served on the battleship USS Idaho, whose home port was San Pedro, CA, left the Navy in 1940 and worked for Lockheed in Los Angeles County. 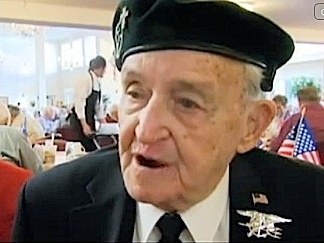 He moved to rejoin the military after the Japanese attack on Pearl Harbor. This historic WWII photo of Spence (5th from left, back row in dark uniform) and his fellow members of the very first OSS clandestine underwater team, was taken at their top-secret training grounds, “Area D,” outside of Quantico, VA, in 1943. 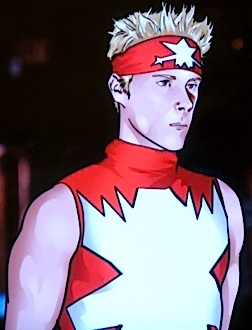 (Photo: guardianspies.com) Click to enlarge. 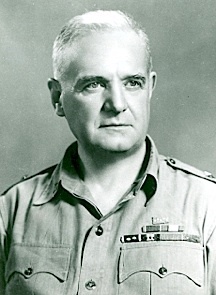 Major General William “Wild Bill” Donovan, the ONLY American to have received our nation’s four highest awards, The Medal of Honor, the Distinguished Service Cross, the Distinguished Service Medal and the National Security Medal. During World War II, he founded, and then led, the OSS (Office of Strategic Services), the predecessor of today’s Central Intelligence Agency (CIA). I trained in ‘Area D’ for special skills and in the fine art of sabotage. I was placed under the command of a British Commander Woolley and a Navy Lieutenant Jack Taylor. Lt Taylor was recruited to teach me small boat handling and navigation. It was learned that Italian swimmers were sinking British ships so we decided to start a group of underwater warfare swimmers. 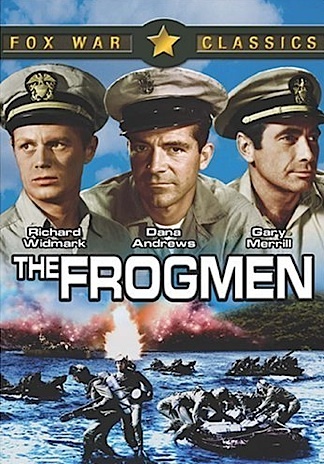 They named us ‘Frogmen.’ I was the first. 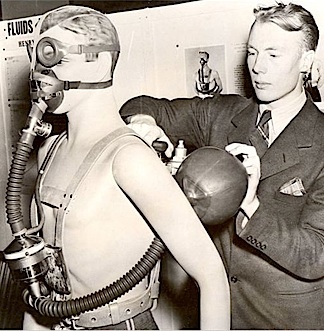 The LARU rebreathers worn by today’s SEAL team members may be lighter, smaller and more efficient, but they are essentially the same device as inventor Chris Lambertsen’s WWII original. “We were sent to England for further training, where I was set as the leader of L-group 1. We practiced in the Thames River which was extremely cold. Our wet suits would crack and let moisture in. We tried a variety of things to help…but it just ended up moving the cold spots to other places. “In Okinawa, we were charged with shooting down 21 kamikazes and were given the Presidential citation. I was also given a commendation for that battle. 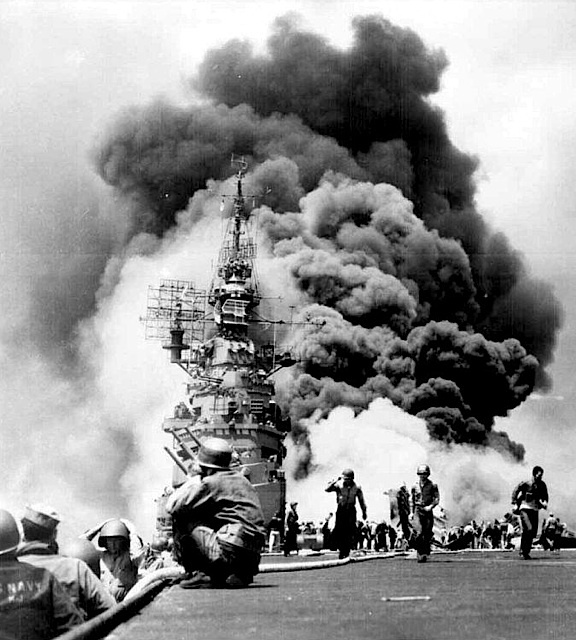 During one day of that duty, on 28 April 1945, Wadsworth repelled six determined attacks by 12 enemy aircraft. 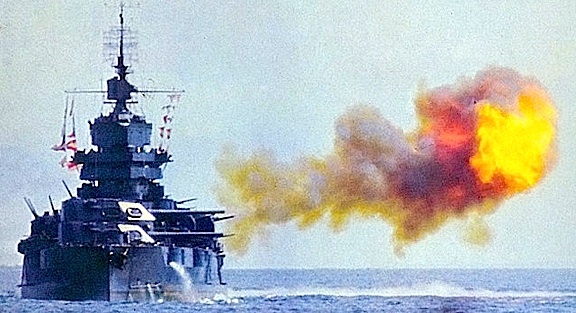 The raids—which came from all points of the compass—commenced at sunset and continued for over three hours. We successfully evaded a torpedo plane who after missing us with it’s torpedo decided to attempt to crash into our ship. It took out our front 40 millimeter gun and clipped our whale boat before crashing into the sea. It was the second of two close calls. Bottom Line: If you’ve stuck with us this long, you’re undoubtedly feeling somewhat humbled by this amazing man’s story. We are as well, and would like to offer our sincerest thanks and gratitude to John Spence and everyone else who’s ever served in the U.S. military for their service to our country. Also, we’d like to thank Lyle Hicks, J.W. Terry and California filmmaker-historian Erick Simmel for working with Spence before his death to record a biography of his service. As the last of “The Greatest Generation” continue to leave us, it’s more important than ever to reach out to those who still remain and preserve their memories for posterity—before it’s too late. Finally, thanks to Tony Perry of The Los Angeles Times for his Spence obituary article. It proved an inspirational stepping stone, indeed. 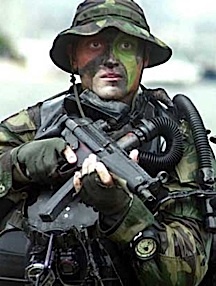 The next time you look at one of your GIjOE Action Sailors, Frogmen, or Deep Sea Divers, we hope you’ll take a moment to remember John Spence, and ALL of the other real American heroes who have given so much for our country and the freedoms we enjoy today. Go, NAVY! 50 years is a long time. Or…it’s merely a “blink of an eye,” depending on your perspective. 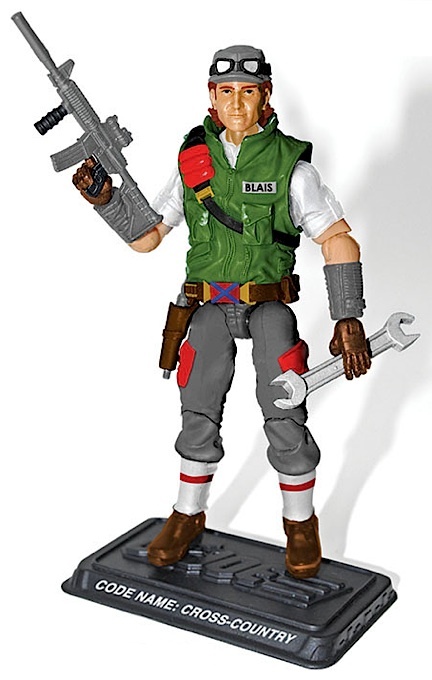 For fans of the original 12-inch GIjOE, the time seems to have absolutely flown by. Children of the 1960s and ’70s are all grown up now, their hair is a little grayer and their waistbands a little larger, but most can still remember playing with “America’s Movable Fighting Man” in their living rooms, bathtubs and backyards as if it were only yesterday. That’s because for many—it was! 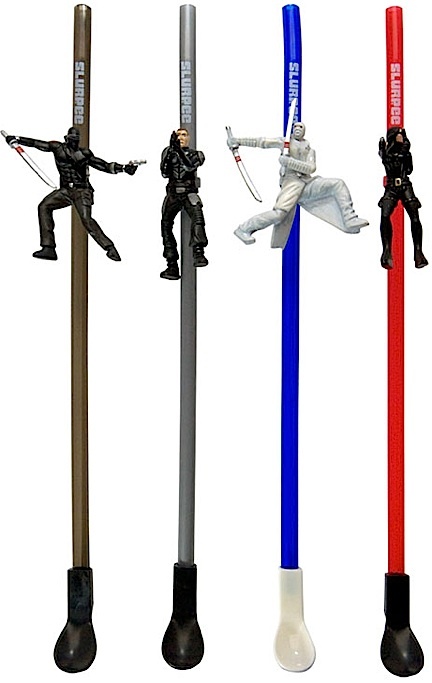 A second crop of GIjOE fans came along in the 1980s and ’90s, reared on a smaller, but no less enjoyable, 3.75-inch version of the “Real American Hero.” Together, these two disparate groups of collectors form a worldwide fan base for what jointly, has been dubbed the “World’s Most Popular Toy.” Joe’s immense popularity has also prompted the subsequent creation of hundreds of GIjOE clubs, conventions and shows, both local and national in size and scope. “G.I. 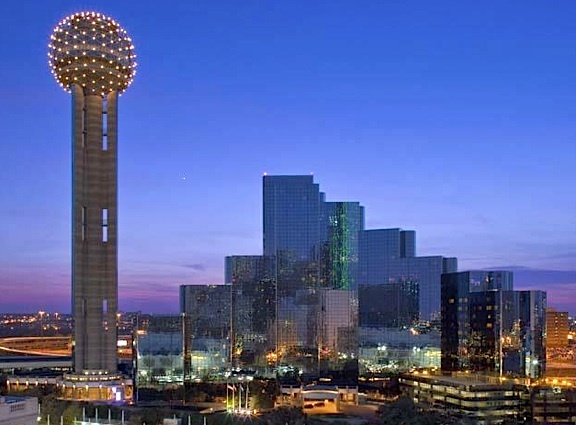 Joe’s 50th Birthday will be celebrated April 10-13th, 2014, at the Hyatt Regency in Dallas, Texas. You can make your hotel reservations now by going to the official convention website HERE. The convention room rate is $142 and they will require a one night’s deposit with your reservation. This unique 180-degree “panorama” image of the dealer showroom of JoeCon 2013, shows the convention at its peak attendance. However, the picture does not clearly show how few dealers there were. While quality was high, quantity was LOW. (Photo: Mark Otnes) Click to enlarge. 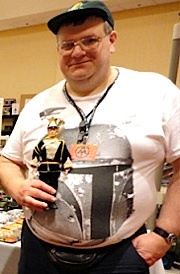 Shrinking JoeCon Attendance to Continue in 2014? 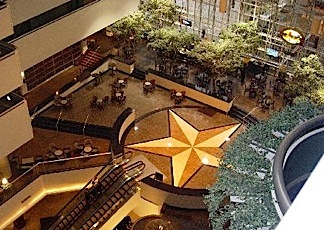 As to the 2014 show’s venue, I lived in downtown Dallas for 2 years, a mere stone’s throw from the Hyatt Regency Hotel (HRH), so I can confirm that it is indeed a superb choice for any convention (I attended a Star Trek Con there once). Fans of TV’s Dallas, will recognize the HRH as the iconic, mirrored building first flown by in the show’s opening credits—just PERFECT for parachute drops!